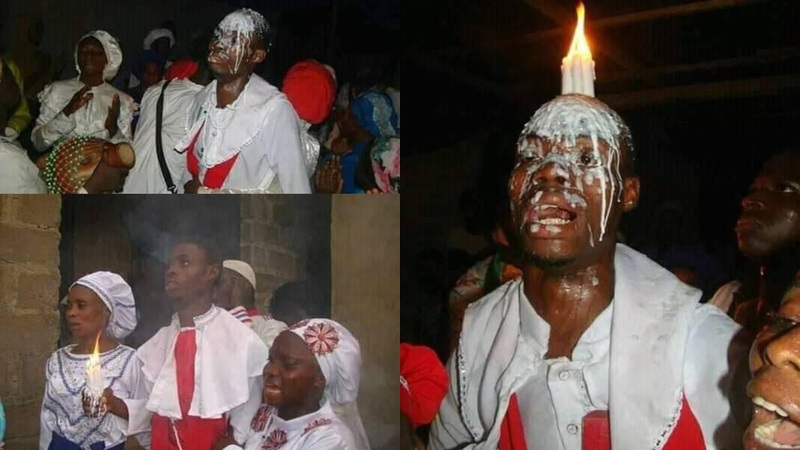 The pictures shared by the young man shows a burning g candle on his head with the wax melting down on his face. The user did not share whether or not if the homosexuality was successfully burnt. Or maybe it take a little bit of time to see results. We will keep you updated as the story unfolds!